During the colonial days, a style battle raged between Bombay and Calcutta. Between the Gothic style that reigned in Bombay versus the Classical style of the then British Indian capital, Calcutta. It no longer matters who won the battle, but the prize can be yours, if you know where to bag them. At Mumbai’s demolition man Girishrai Prajapati’s little shop. Girishbhai, as he is known, has a favourite number: 007. He also loves to say: Ever Say, Ever Again. That’s because if you want a special door, window or anything related to wood and cast iron, in a particular style and of the best material, he will never say no. For 104 years, and three generations, the small establishment he heads called Om Sri Timbers inside the cramped Mohmadi Old Timber Market No 2 on Grant Road, has been a government approved demolishing house. 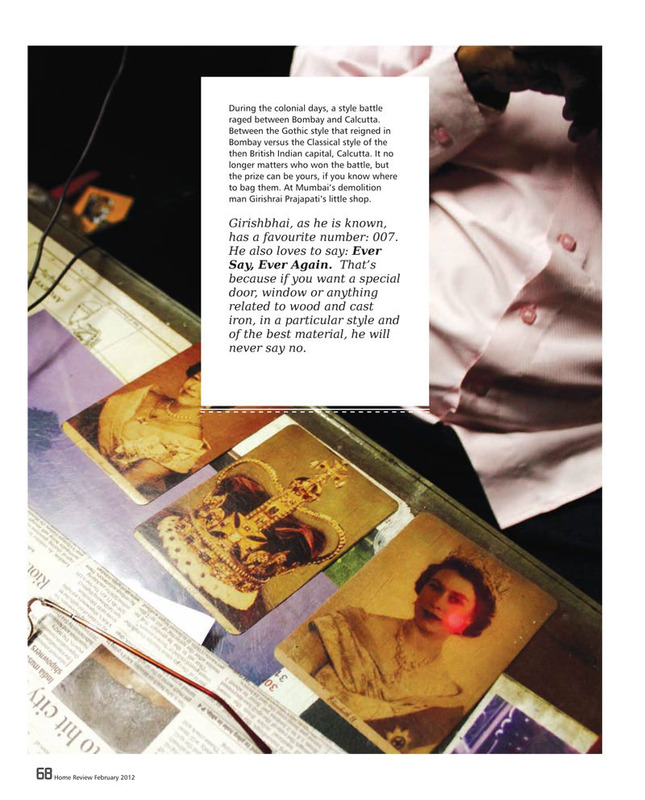 Girishbhai salvages the best surviving wood and prepares them for a new lease of life. Exotic Burma teak, Rosewoods and other seasoned wood from the era of great buildings get a fresh start here for buildings of the future. Next to his small cabin, deep inside his shop are a few doors made of Burma teak that best explains what he does. The doors were originally used in a bungalow owned by Hariram Mundhra that stood for 130 years opposite Varsha, the official residence of the Maharashtra Chief Minister. When it was demolished in 1978, these Burma teak doors were salvaged and sold to be used in a film studio owned by Shakti Samanth. For various reasons, 5-6 of the doors and frames were left unused. Last year, the unused doors made their way to the market. However, everyone in the market knew that only one person would pick it up - Girishbhai. And that’s exactly what he did. Today, you could be the one to pick it up and use it in your next project. That is, if India’s best architects and interior decorators haven’t already bagged it for one of their projects. 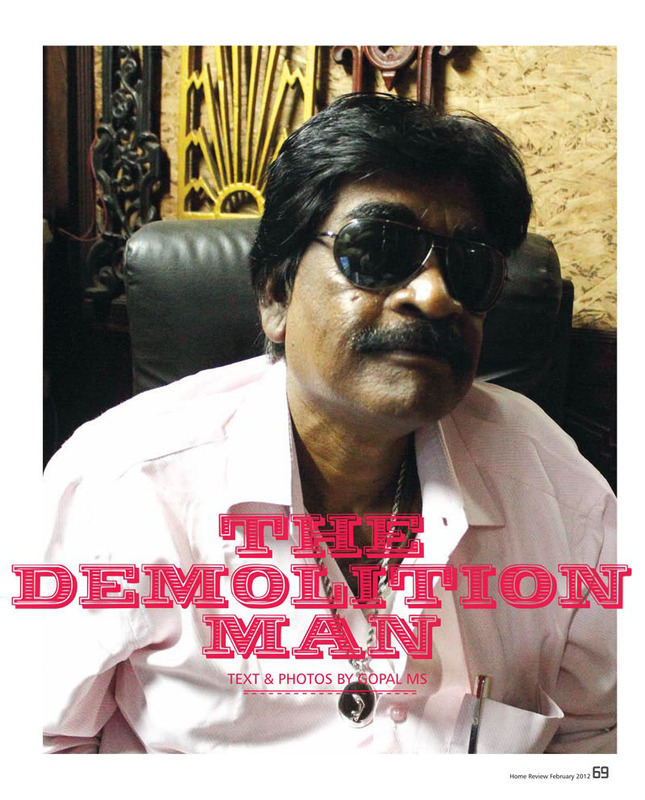 Demolition man Girishbhai claims that he never has to go around selling his prize collection that is worth its weight in gold. The best in the business know him personally and handpick what suits their projects best. The home he has decorated reads like the who’s who list of India. From Vijay Mallya to Aishwarya Rai. The exotic homes and bungalows from Alibaug to Nainital. His old and new client list is the who’s who of Indian design. Names roll fast off his lips. Kersi Kapadia, Varsha Desai, Neeta Merchant, Nupur Doshi, Vikram Grewal, Alpana Khare, Pradeep Sachdeva, Arvind D’souza, Dean D’cruz and many more, faster and more than what I can write them down. Pointing towards Gothic windows and Portuguese stained glass in his shop, Girishbhai informs that Mumbai still has enough buildings being demolished to provide high quality wood for another 15 years, at least. After that, the story of wood is only going to get more interesting. The quality of wood and designs they offer will make them even more valuable he says. Girishbhai then shows me his cabin made entirely of wood. They are all railway sleepers he says. He was among the pioneers who recognised the strength of the ‘Saakhu’ wood used and after treatment can weather any condition for decades. Then he introduces me to Aishwarya, Sushmita and Priyanka. Three cast iron beauties for those who have an eye for exotic windows. The names are all given by him. It’s not just exotic doors, windows, stair rails, wooden floors that he can introduce you to, he even salvages age old roof tiles, flooring tiles and in case you want it, a particular kind of soil, if you so desire. He also feels that he deserves a medal from the President for recycling the past. Nothing goes waste when he is around; it only gets more beautiful and blessed with a longer life. Imagine how much it would cost if you were to make all this from fresh materials? 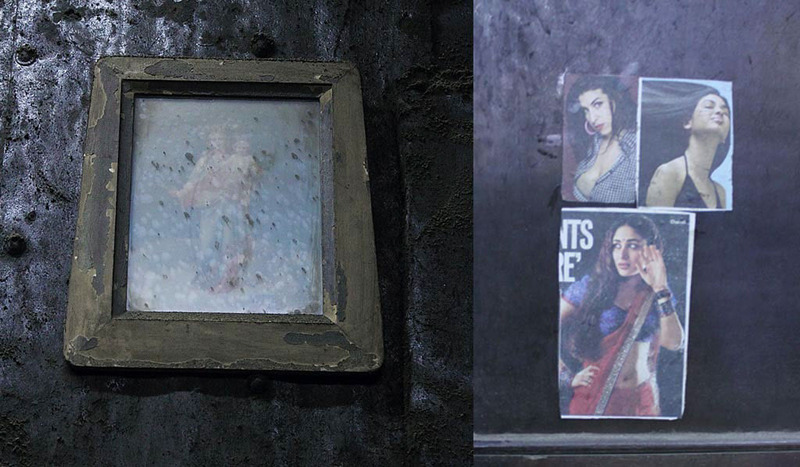 For us, Mumbai’s demolition man is a treasure trove of creative ideas, waiting to be tapped. The big names in the industry have him on speed dial; let’s add him to our lists too. This was written and shot for the New Home Review magazine, published from Mumbai, India.